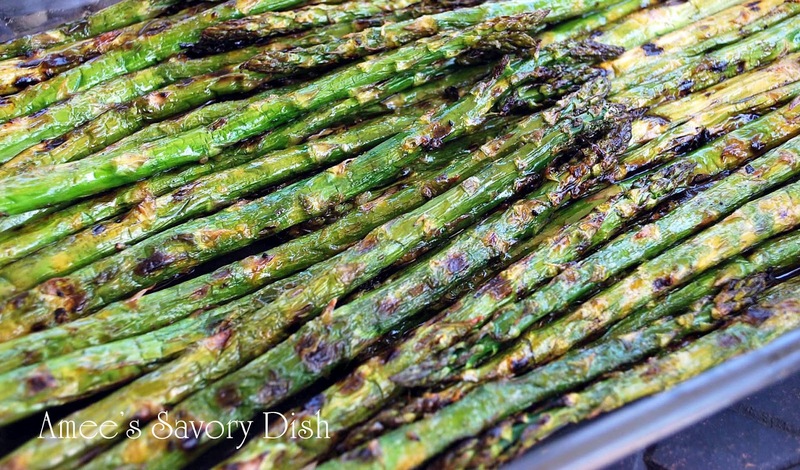 This Lemon Balsamic Grilled Asparagus might just be the best asparagus you’ll ever eat!! I know that’s a large claim, but the lemon white balsamic vinegar used to marinate the asparagus is heavenly! I purchased this white balsamic vinegar while on vacation in Savannah, GA at Lowcountry Gourmet Foods. They have a wonderful selection of balsamic vinegar and olive oil that you can sample in the store. 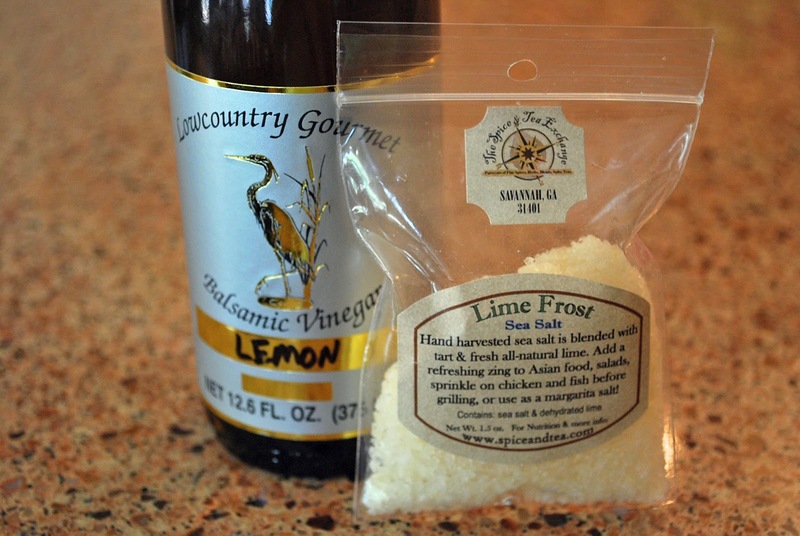 If you can’t find lemon balsamic, just use a very good quality white balsamic vinegar for this recipe. Good balsamic vinegar is like a fine wine. The longer it’s aged, the smoother it tastes. Grape pressings are boiled down to a thick syrup and aged in wooden barrels along with the vinegar “mother”. Most of the vinegar that I sampled at Lowcountry Gourmet Foods was so good that I could drink it. I can’t wait to pour it on my salads for a healthy and delicious dressing. 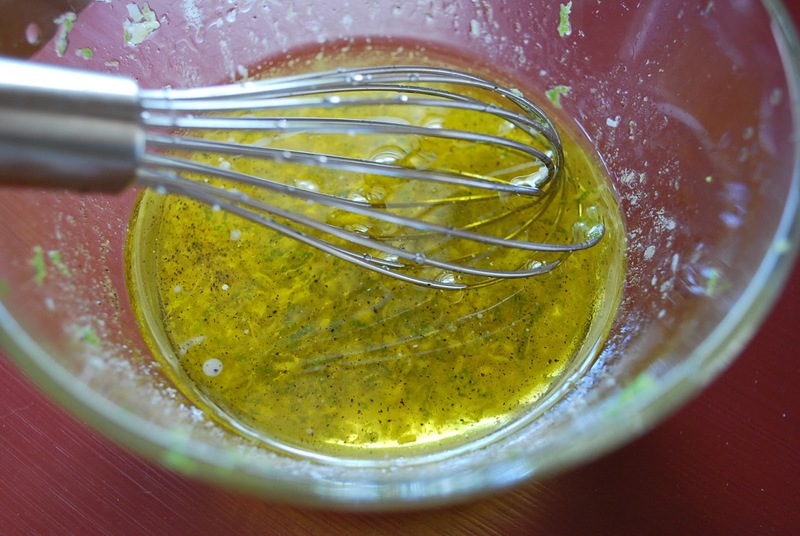 Mix all marinade ingredients in a bowl with a whisk. Set aside. Wash asparagus and trim about 1″ off the thick end. Place into a 9×13 dish and pour marinade on top. Refrigerate for at least an hour to mingle flavors. Preheat grill and turn heat to medium. 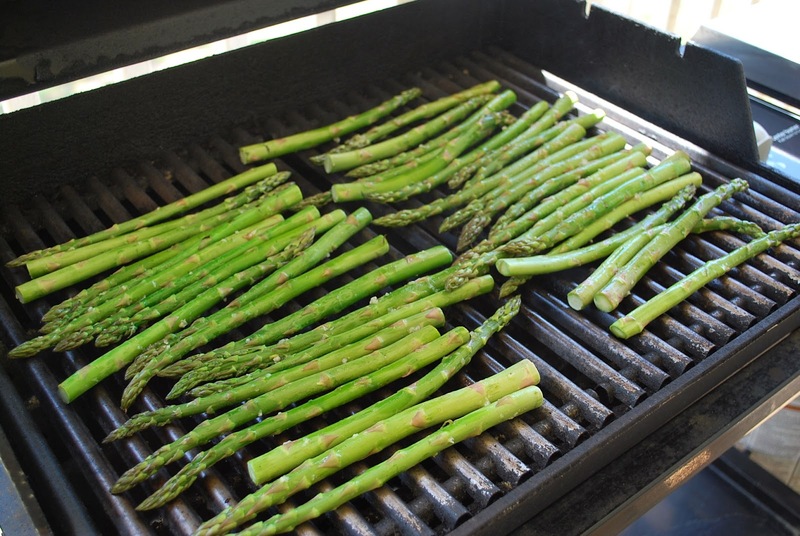 Place asparagus directly onto the grill rack. Reserve marinade. Cook for 4-5 minutes per side, checking frequently so you don’t overcook them. They should be tender but still have a slight crunch. Pour leftover marinade through a fine strainer to remove bits of raw garlic and drizzle over asparagus before serving. Delish! A tangy balsamic marinade adds incredible flavor to fresh grilled asparagus. Cook for 4-5 minutes per side, checking frequently so you don’t overcook them. They should be tender but still have a slight crunch. Pour leftover marinade through a fine strainer to remove bits of raw garlic and drizzle over asparagus before serving. « Banana Chocolate Chip Baked Oatmeal Singles….Guest Post by Emily Bites! This sounds awesome! 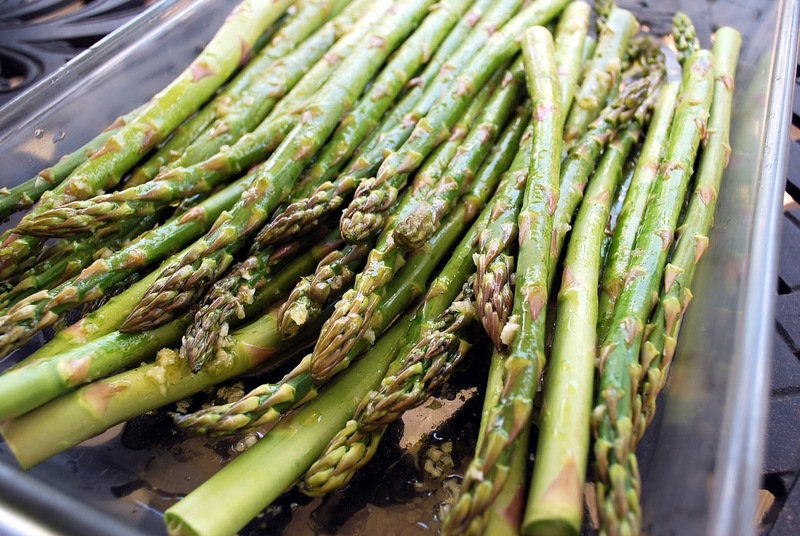 I just LOVE asparagus and the flavour combinations you’ve created here look wonderful! This looks delicious! I Would love to have you link up to my 2 carnivals today….http://www.aroundmyfamilytable.com/2012/04/feed-your-soul-5/ (anything food related) and http://everydaymomcakes.com/sugar-me-up-5/ (deserts only). Hope to see you around! i bet my hubby would LOVE this! I need to look in to those awesome salts you have! This is my favorite way to have Asparagus, your recipe and your presentation looks awesome! Hope you are having a great spring week end and thank you so much for sharing with Full Plate Thursday. Your recipe is featured on Full Plate Thursday this week. Hope you have a wonderful week end and enjoy your new Red Plate! Miz Helen, thank you so much!!! What an honor! I will treasure my Red Plate! 🙂 Angie and Wendy, thank you!